Twelve years ago, Christian Vincent Munoz, fresh out of architecture school, moved to Los Angeles and met Jay Hayden, an actor from Vermont. They grabbed a couple beers, started playing soccer together—and the rest is exposition. Today, they run their own design-build firm, David Vincent LLC. So, who is David Vincent? “As complicated as this sounds, it’s my middle name and his middle name,” laughs Christian, Managing Partner and Co-Owner. Although “David Vincent” the person may not actually exist, the firm itself is swiftly making its mark with a steady string of successful projects. Christian, a career designer/builder, honed his skills at Los Angeles design-build firm Marmol Radziner, doing everything from blueprints to metal work. When Jay bought a house 10 years ago, the two friends started working on home improvement projects together— renovating the bathrooms, building a playground for the kids, constructing a man cave in the backyard, etc. Three years ago Christian and Jay jumped at the chance to go into business together as David Vincent. 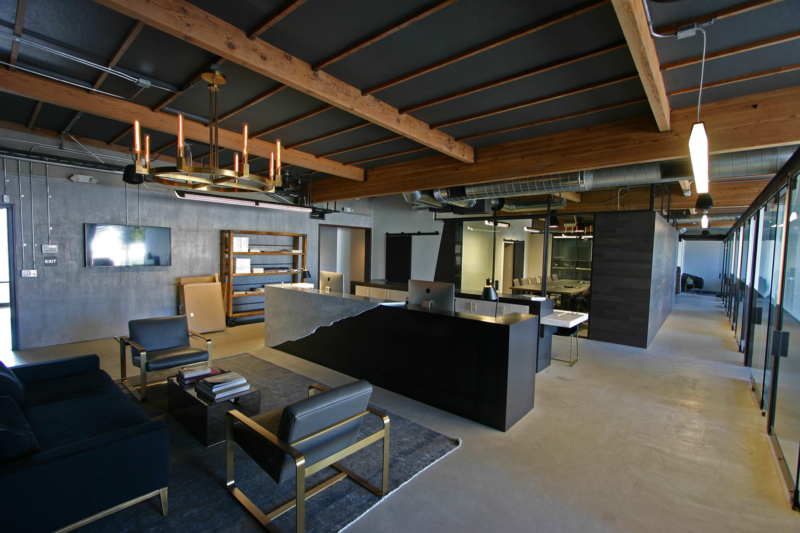 For their first project they flipped a house: “We bought a really old house from the late 1920s and gutted the whole thing.” Soon, they took on other projects, including luxury real estate firm Mercer Vine’s brand new 3rd street office in Los Angeles. For those unfamiliar with the term “design-build,” Christian explains it thus: Normally, the architect/designer draws up the plans for a space, then hands them off to a general contractor to supervise and implement the build. Design-build firms, by contrast, handle the entire process from design through construction. They take a project from concept to completion, from blueprint to execution. Everything is in-house—even the furniture can be custom-designed to fit the client’s unique needs or specifications. This attention to both the aesthetics of design and the nitty-gritty of construction have quickly driven David Vincent to the top of the game. For Christian and Jay, this duality of function isn’t limited to running a design-build firm together. When Jay’s not wielding a sledgehammer or a drill, you can catch him on the set of a network show, where he moonlights as a successful actor. But far from limiting the partnership, working around Jay’s acting schedule keeps things fresh. It “makes it fun for him, keeps it interesting for me,” says Christian. For one of their latest projects, David Vincent tackled the brand new LA office for high-end real estate firm Mercer Vine. “The goal of Mercer Vine is to reinvigorate the real estate game. They were looking to design an entertaining yet classy space,” says Christian. 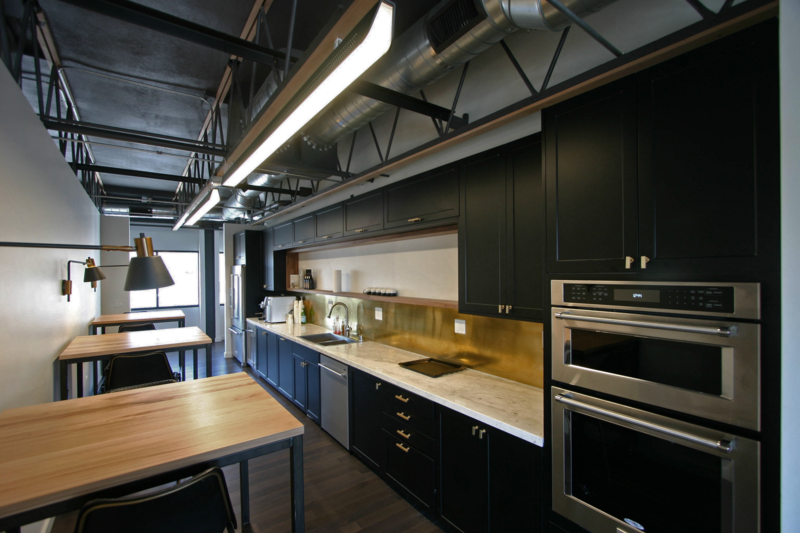 Brought on by designer Chad Hogan of Chandler Farm, the team needed industrial pendant lights for the offices and track lighting in the main spaces. Choosing well-designed fixtures was crucial. They chose the Alcon Lighting Spaceship High Bay Pendant and the Philips Ledalite Jump Light. With its perforated frame and rounded edges, the Phillips Jump Light Fixture puts a unique spin on traditional office lighting—with just enough design to be dangerous. 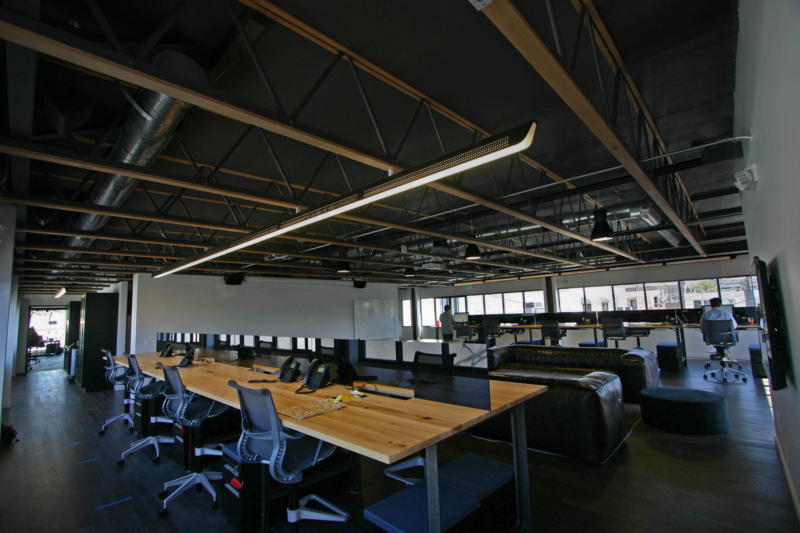 According to Christian, these lights also serve to “call out the path of travel through the space.” Visitors can use these pendant fixtures to navigate —as a “trail map” guiding them through the open office plan. Luckily, everyone was extremely happy with the end product. David Vincent’s next project (also in collaboration with Alcon Lighting) is for new nail salon tenoverten opening at The Platform, a hot property near downtown Culver City. They are currently six weeks into the construction phase.